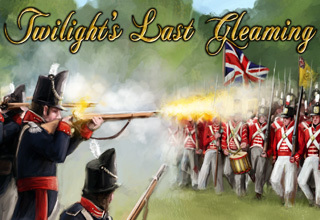 Twilight’s Last Gleaming available now for Mac! The Mac Edition of Twilight’s Last Gleaming is available to buy directly from HexWar.com now! Twilight’s Last Gleaming recreates some of the pivotal battles of the War of 1812 between the United States and the British Empire. The latest strategy game from HexWar Games brings the classic Decision Games board game to iPad; Following on from Rebels and Redcoats, this is the second in a series of games to come from this exciting partnership. Take command as either the American colonies or the British Empire and shape the future of a nation! Special Offer: Purchase before 1st March using discount code ‘TLGLAUNCH’ at the checkout and receive 10% off the list price of the Mac Edition! 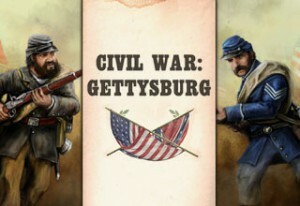 Civil War: Gettysburg available now! The Battle of Gettysburg was fought from 1st to 3rd July 1863, in Pennsylvania. The battle resulted the largest number of casualties in any battle of the entire war, and was the turning point of the American Civil War. Over three days General George Meade’s Army of the Potomac defeated the Confederate army of General Robert E. Lee’s, ending Confederate attempts to invade the North. Experience the full 3 day battle as well as five additional scenarios covering Thoroughfare Gap, Furr Farm, Goose Creek, Ewell’s Chapel, Marsh Cree. Pentaction: Medieval is a turn-based strategy board-game about chance and skill on the battlefield. 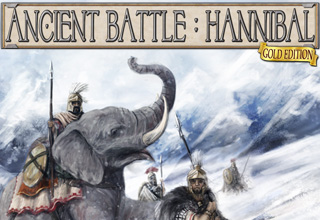 Take control of your army in combat, annihilate your foe’s troops or capture their King to win. Play the enhanced Tactical game style for the ultimate strategic experience or jump straight into the action in quick battle. Challenge your friends in hot seat multiplayer or take on the AI in solo play. Do you have what it takes to lead your Kingdom to victory?